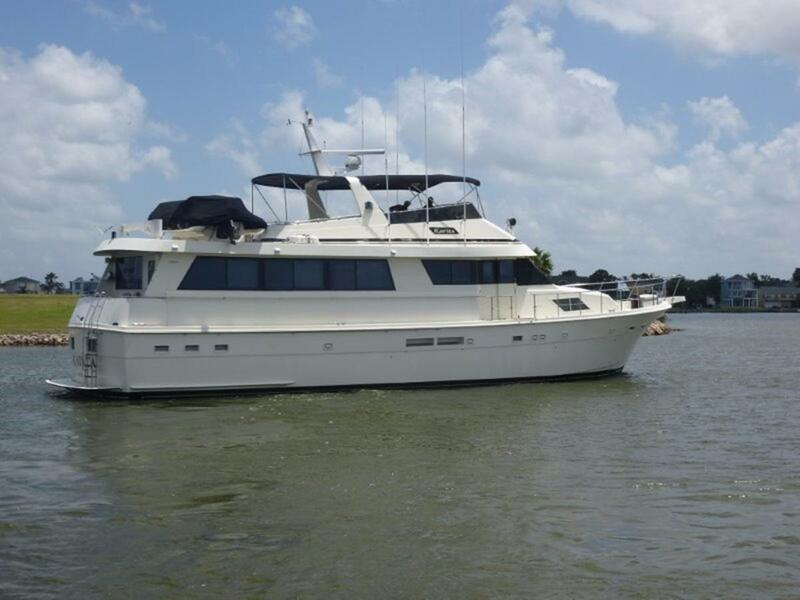 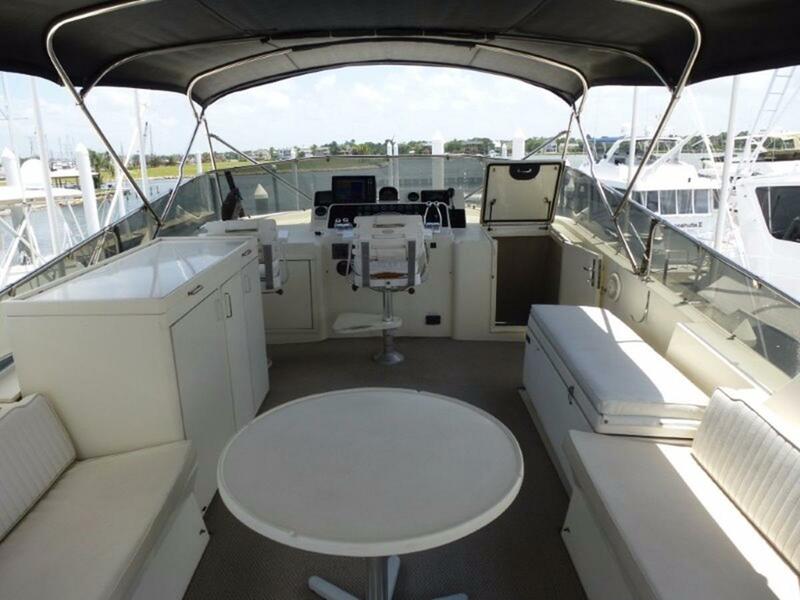 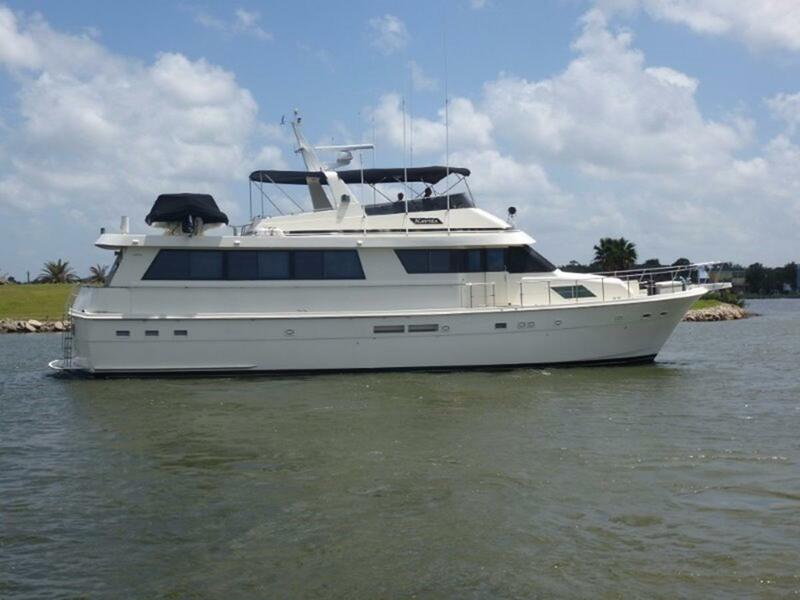 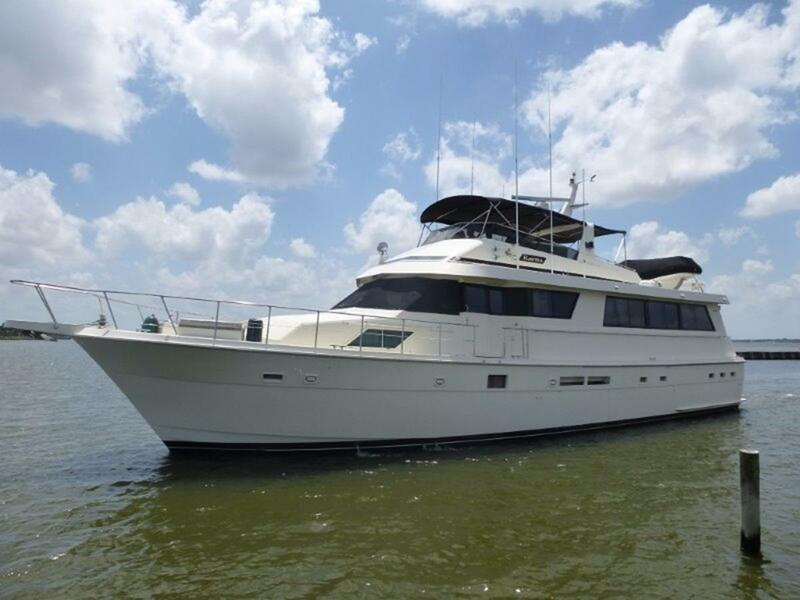 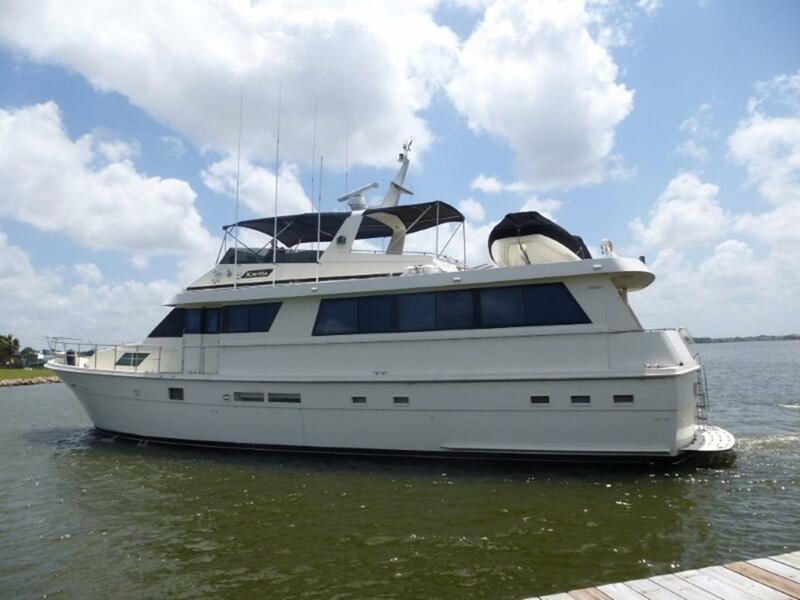 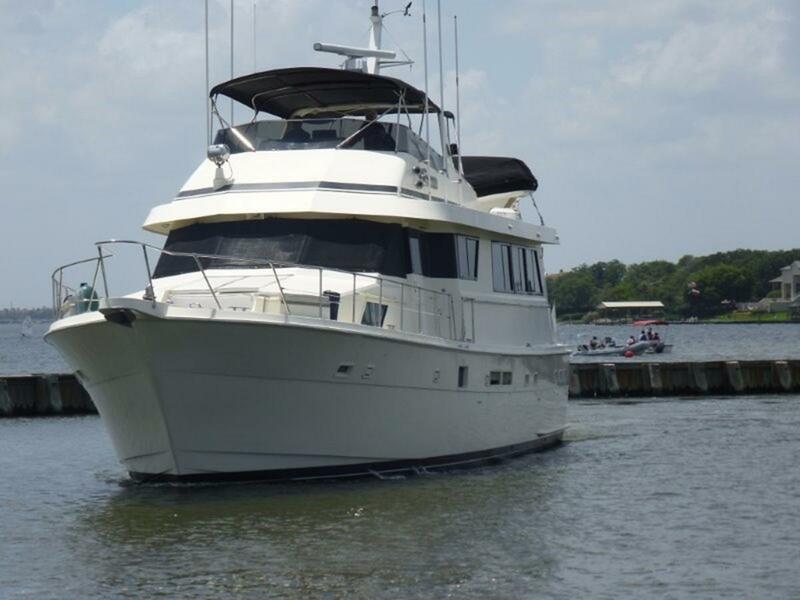 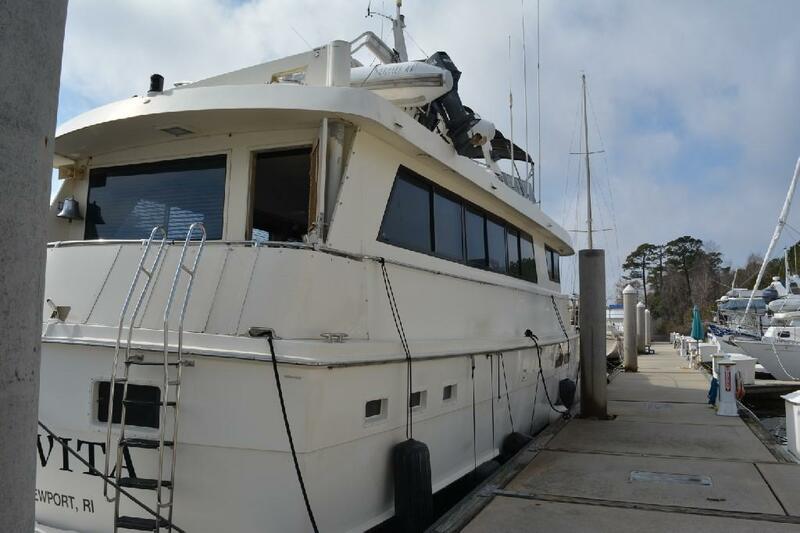 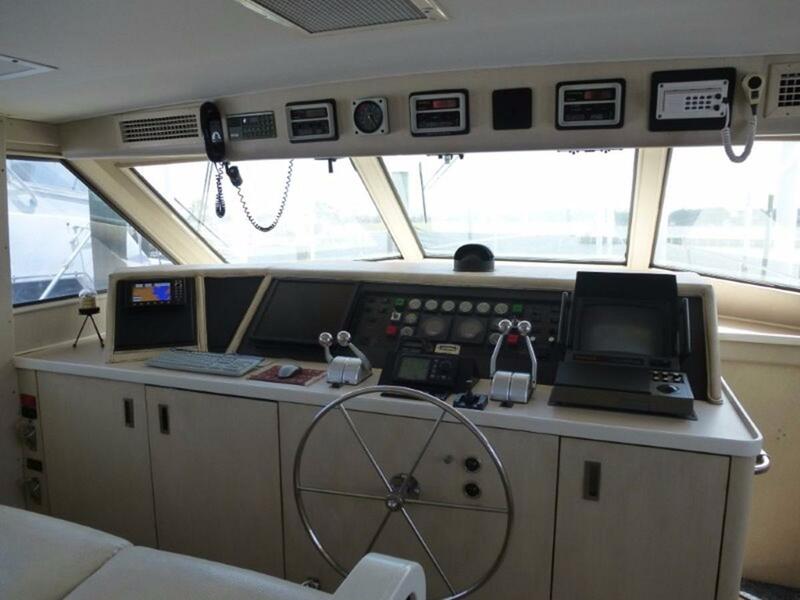 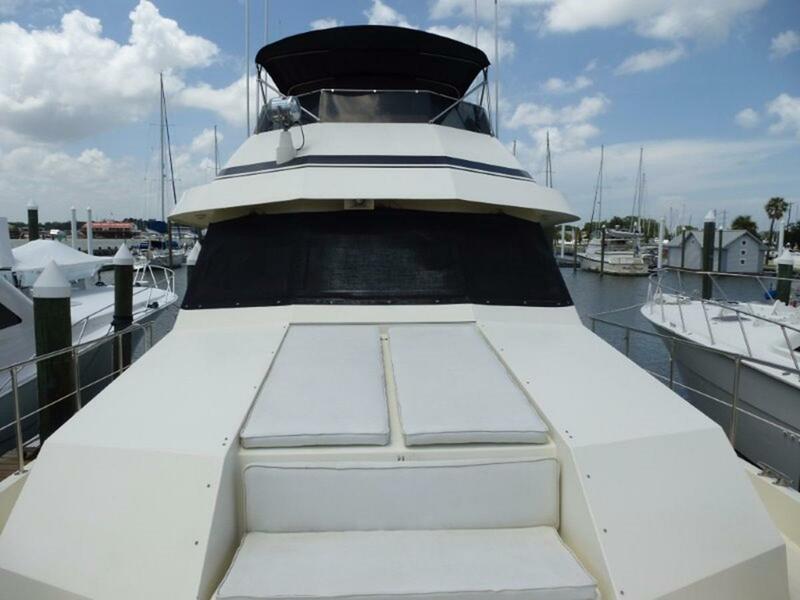 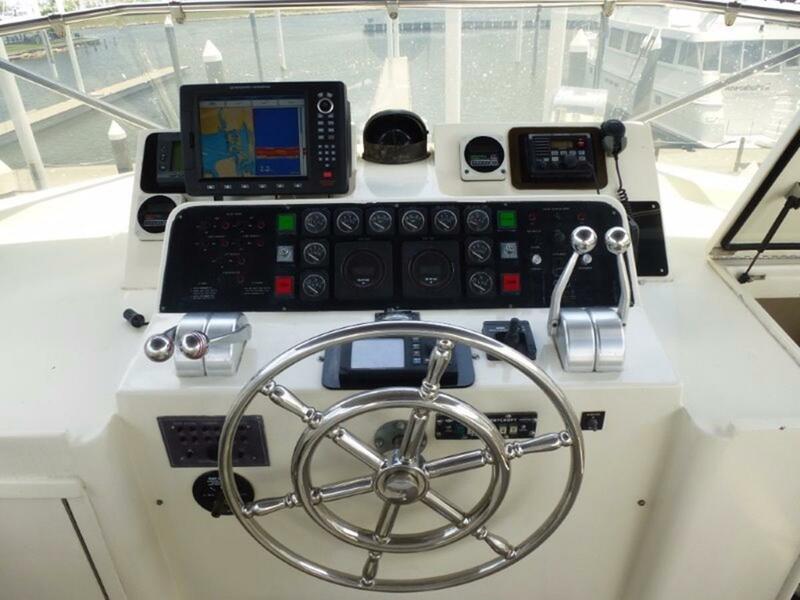 Not to be confused with the 70 Cockpit Motor Yacht, this Hatteras 70 Motor Yacht is a larger version of the 65 Motor Yacht with an expanded Master Stateroom and Salon. 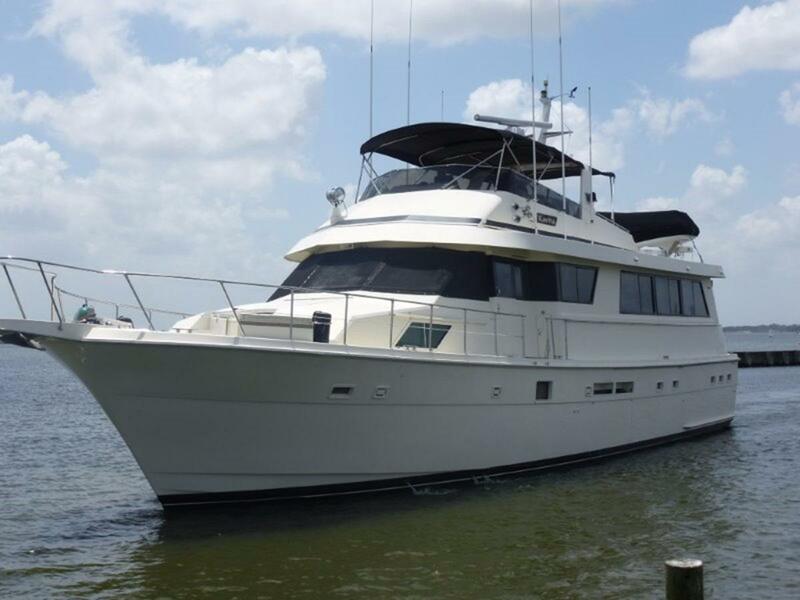 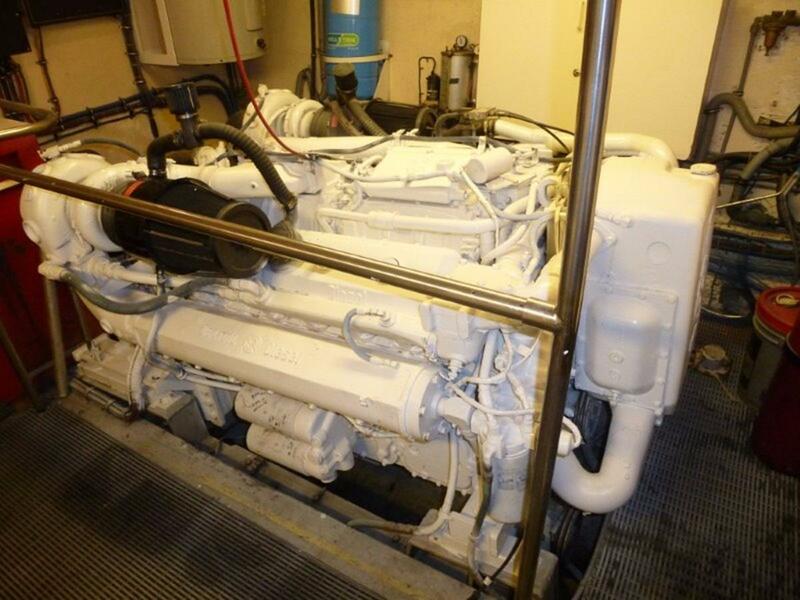 She is a Four-Stateroom Four-Head layout that features a full-beam Salon which is separate from the Pilothouse and Galley. 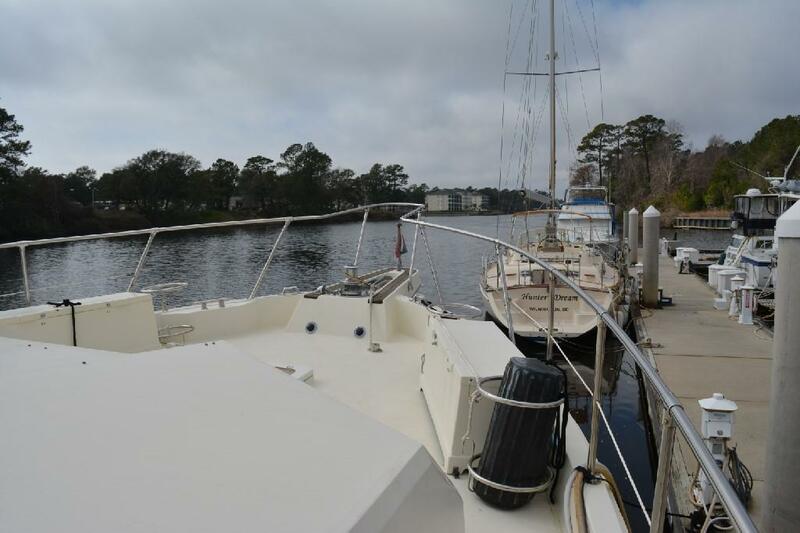 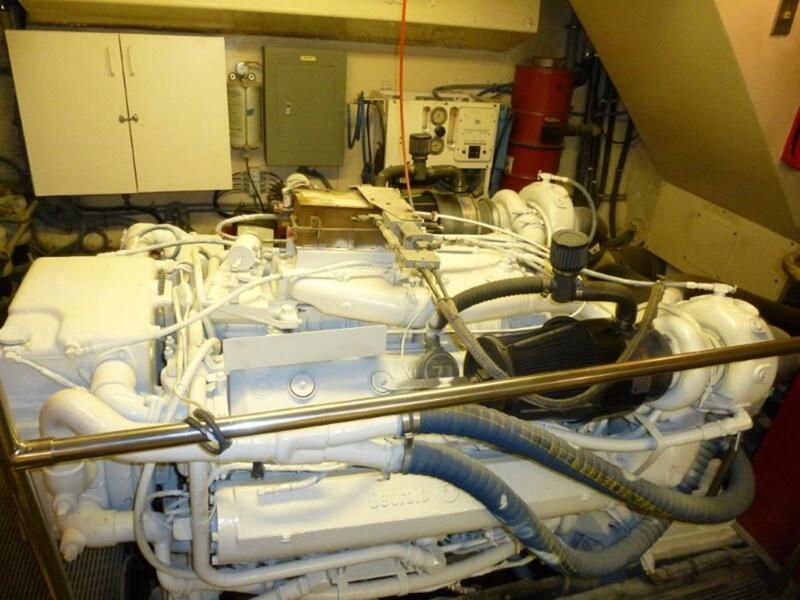 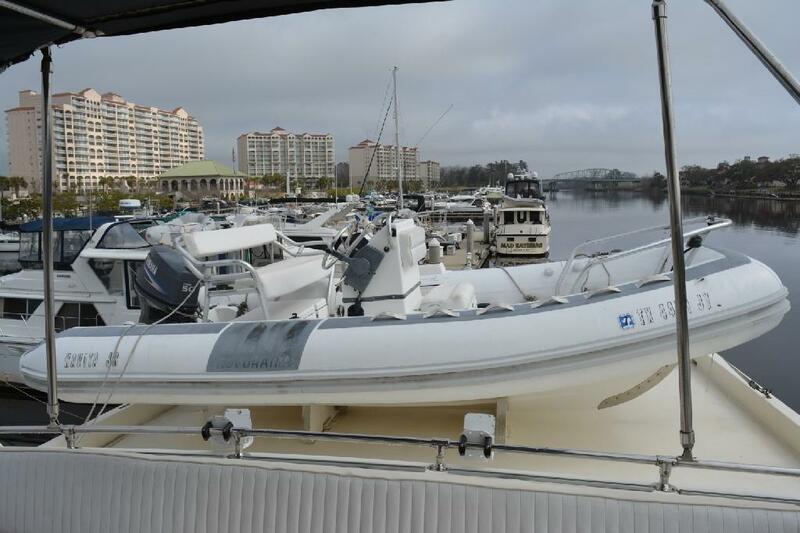 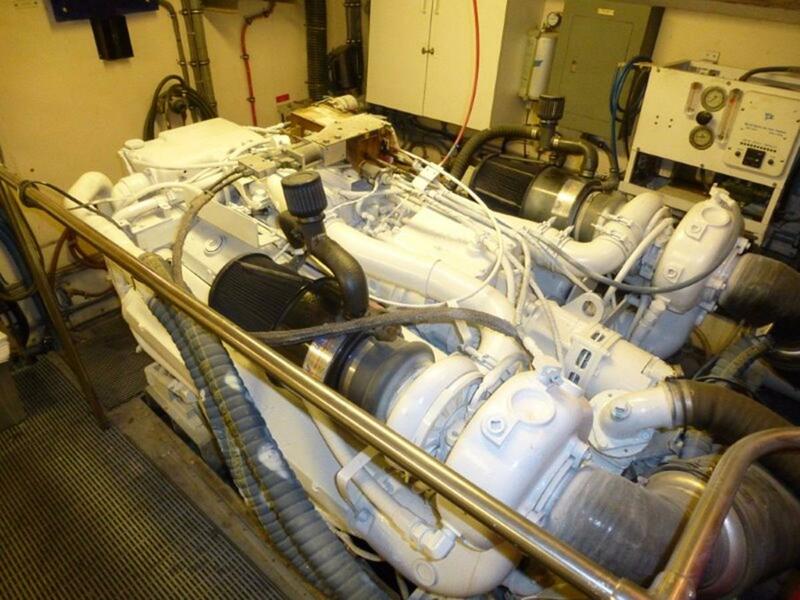 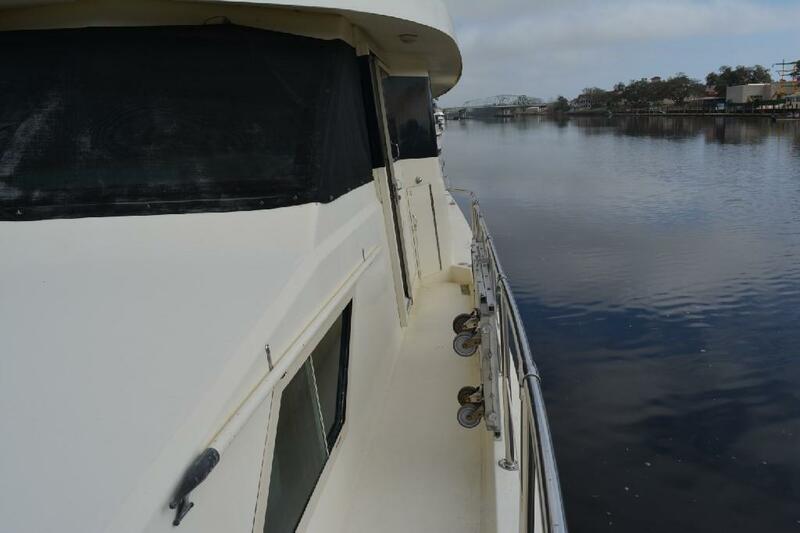 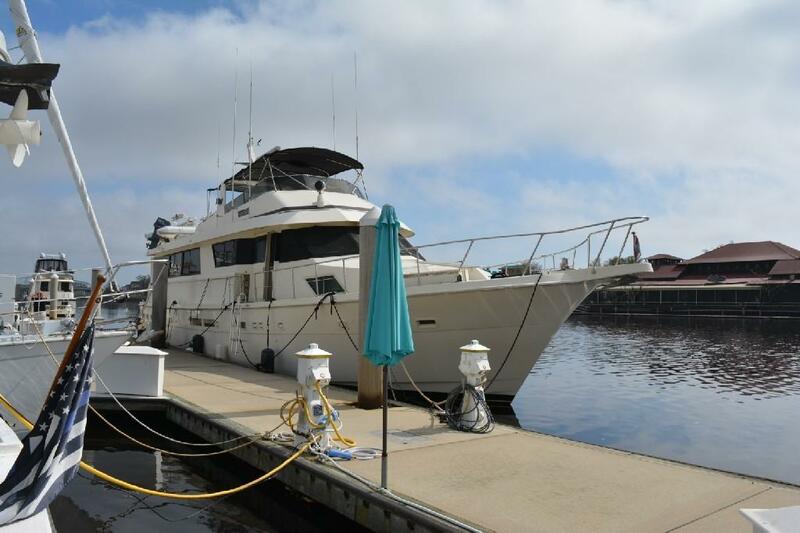 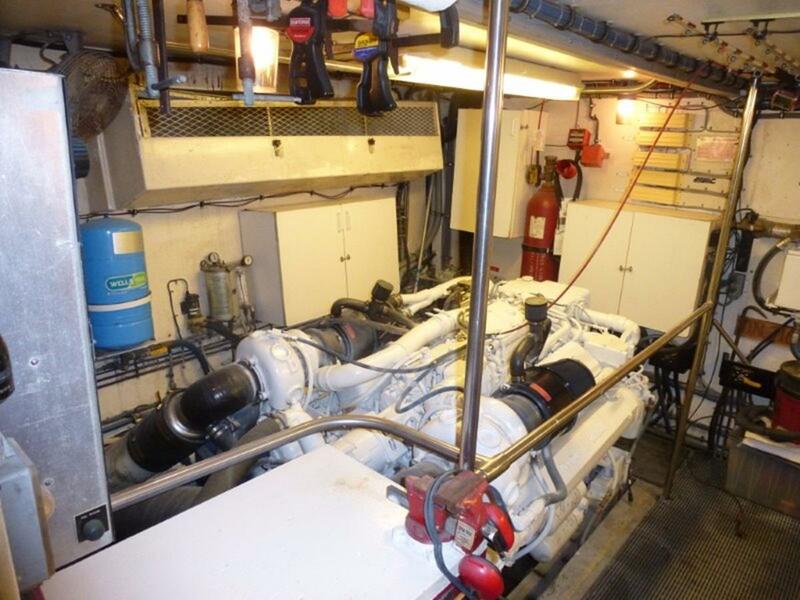 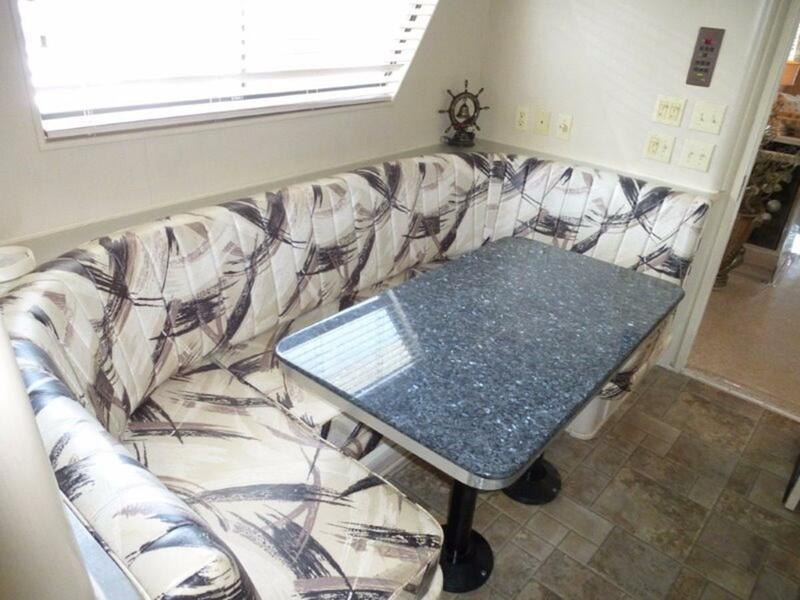 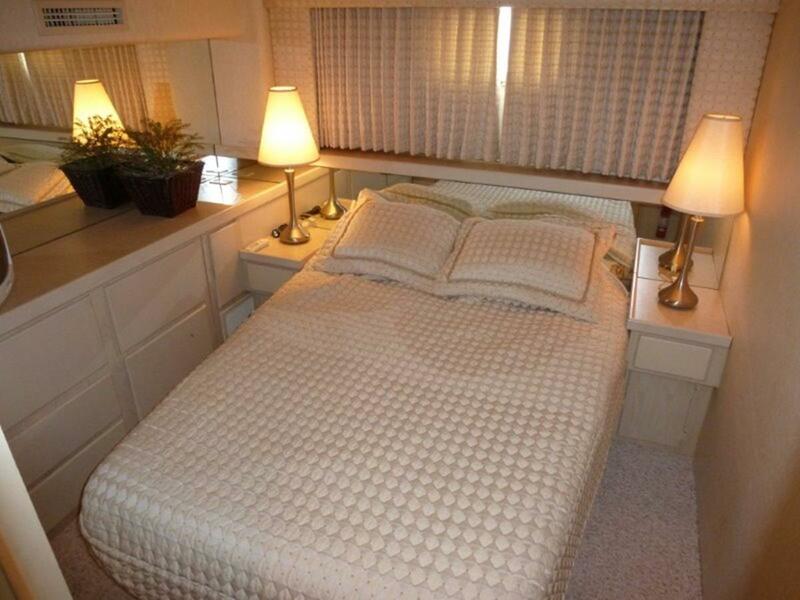 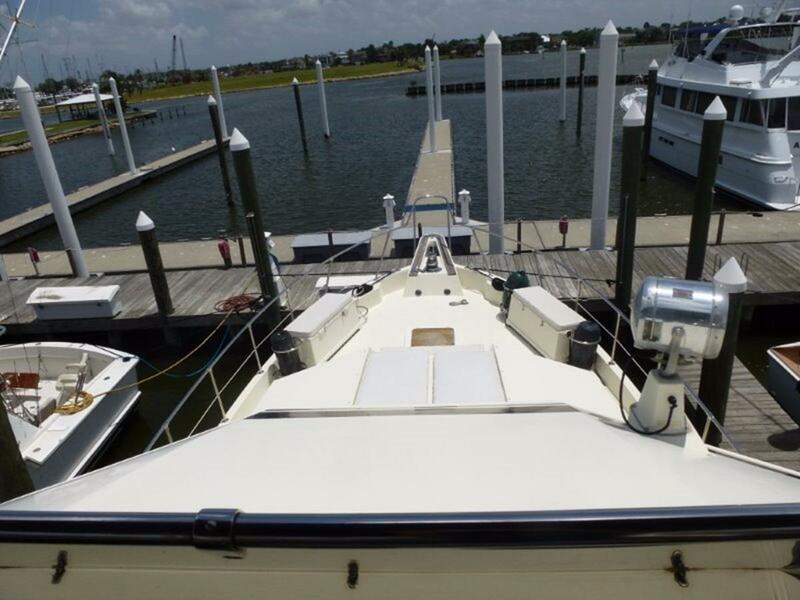 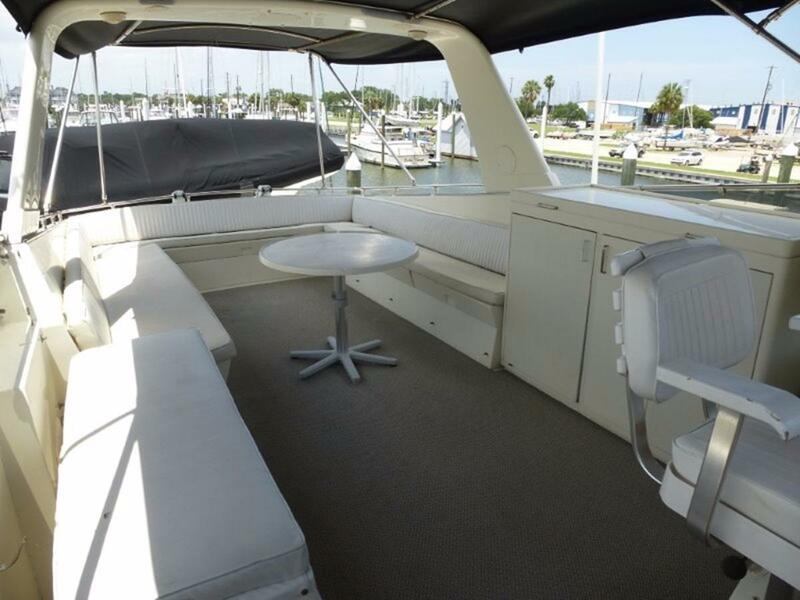 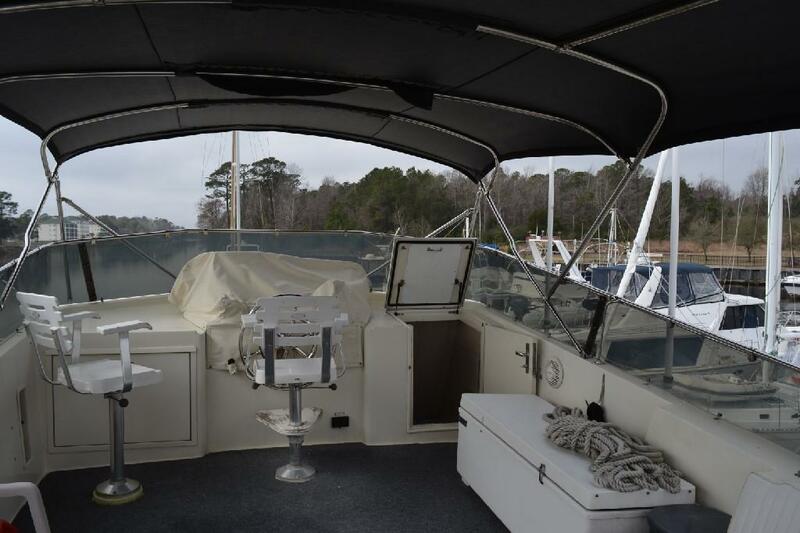 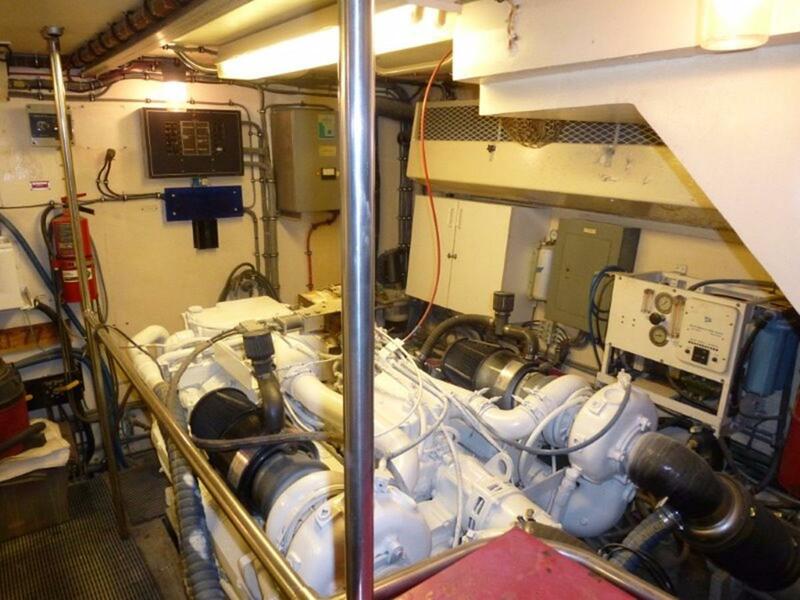 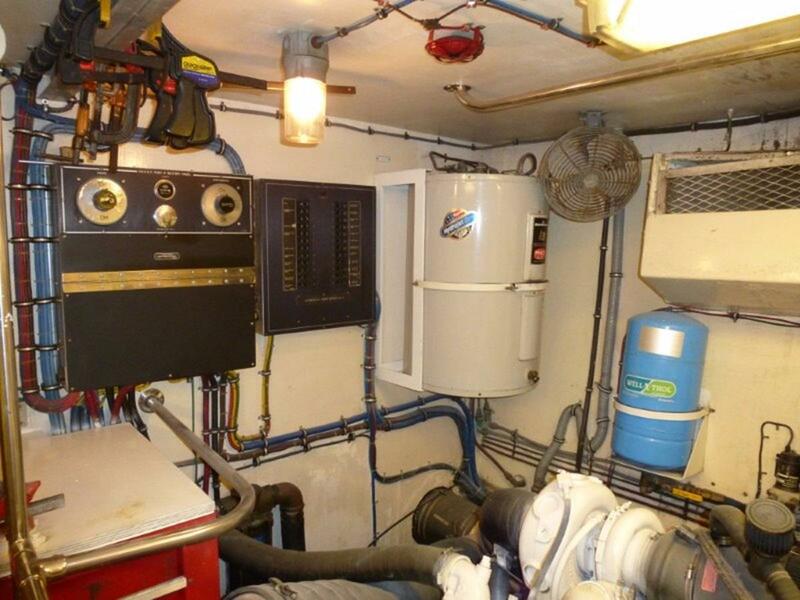 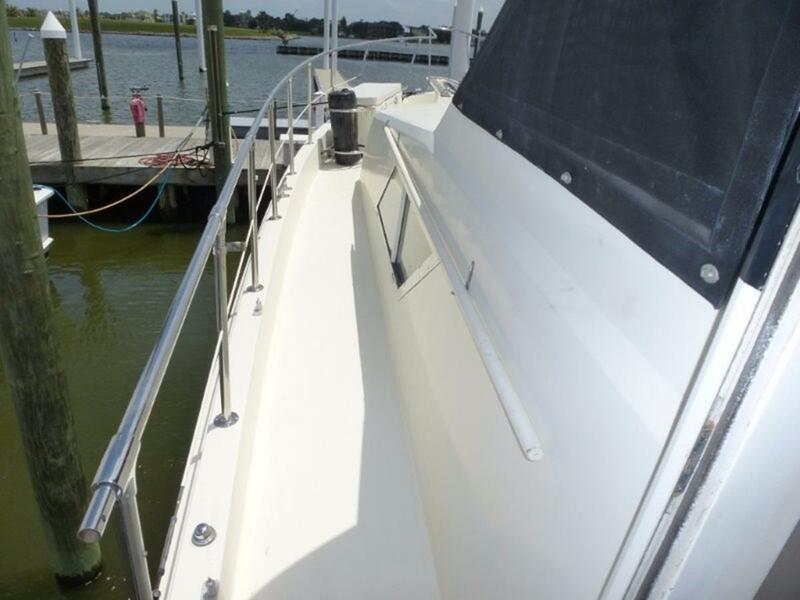 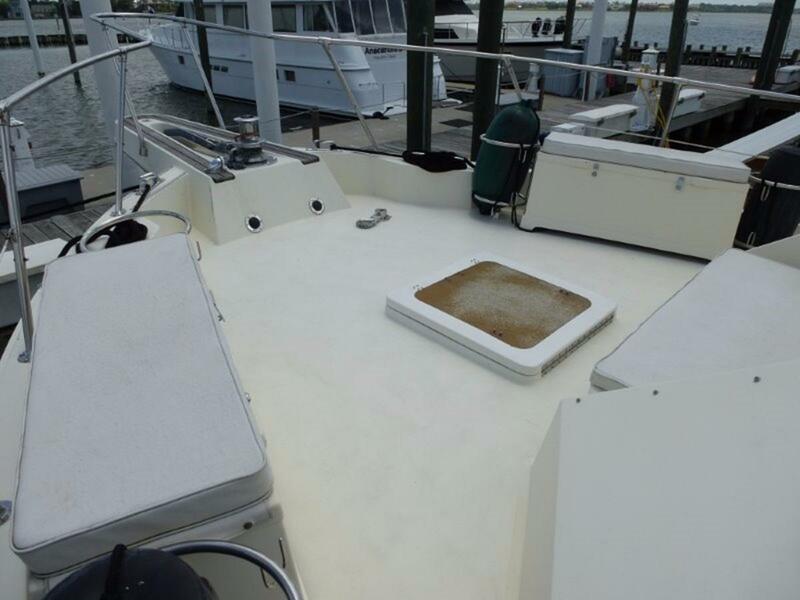 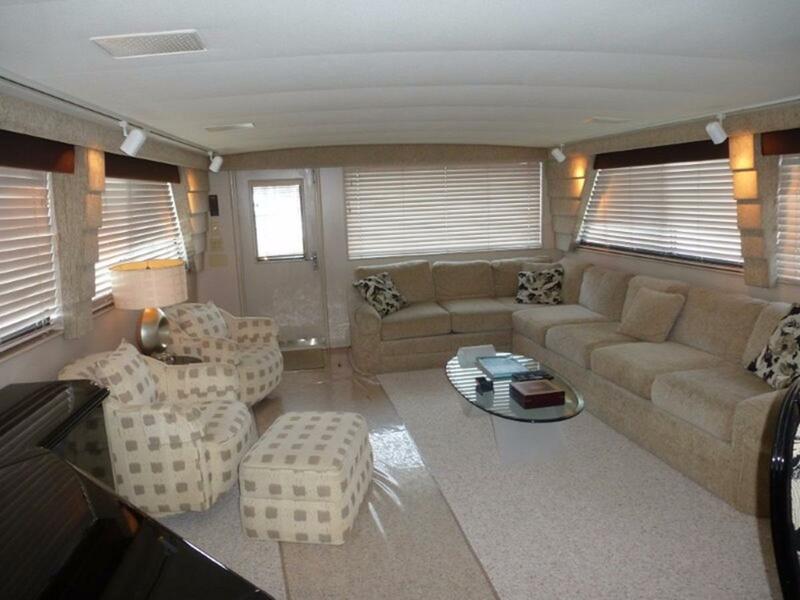 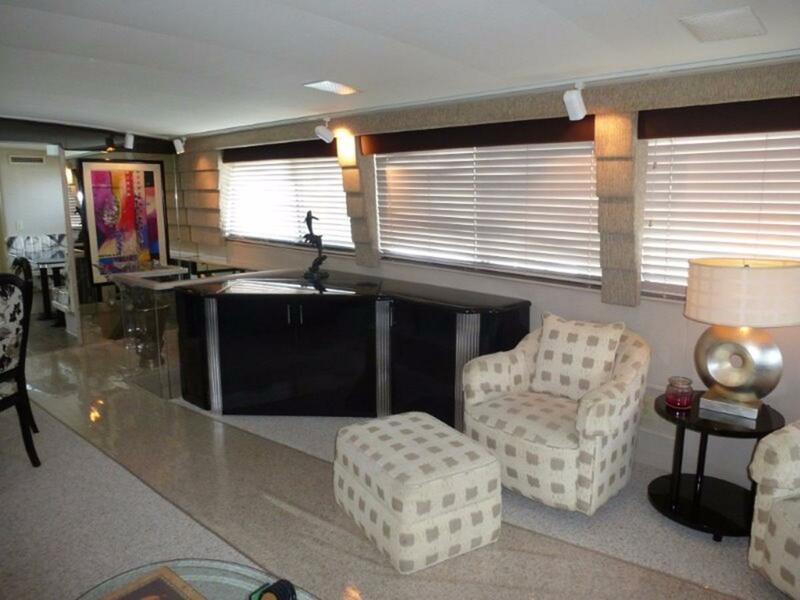 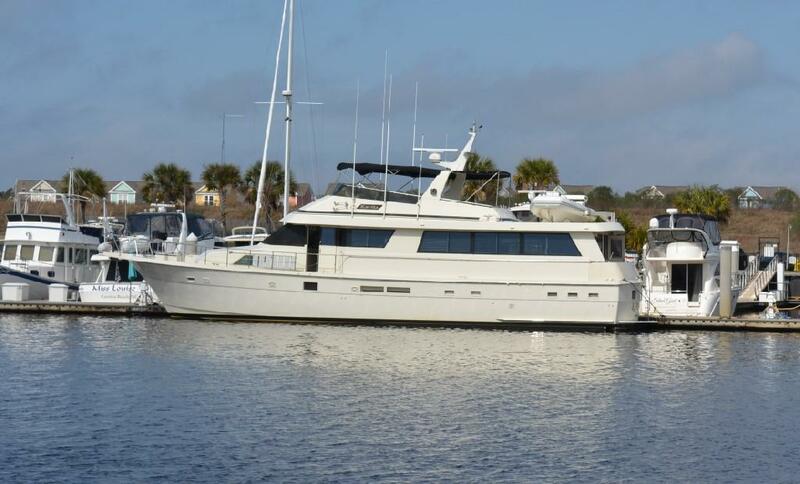 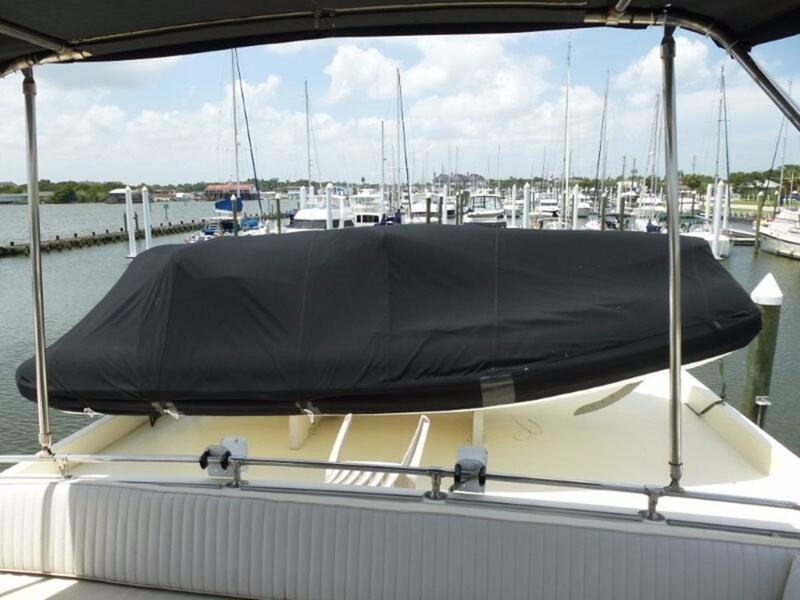 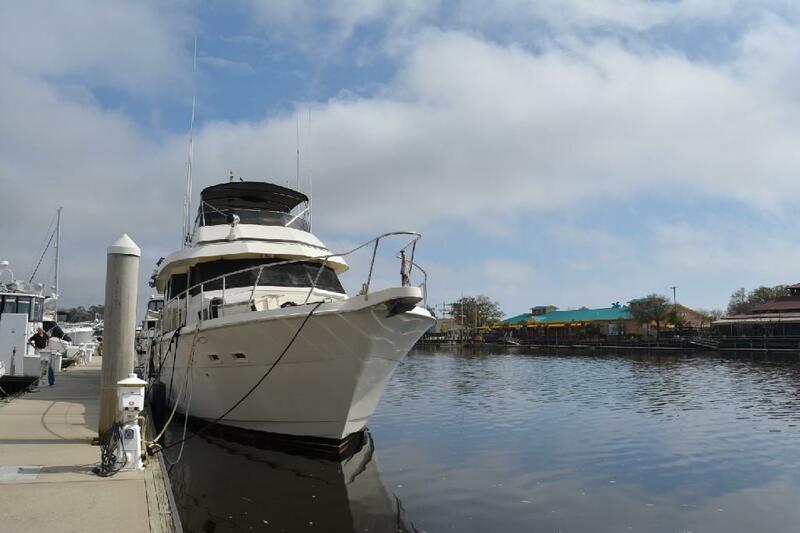 Other features include the Hatteras walk-in Engine Room and privacy Owner's Suite Access. 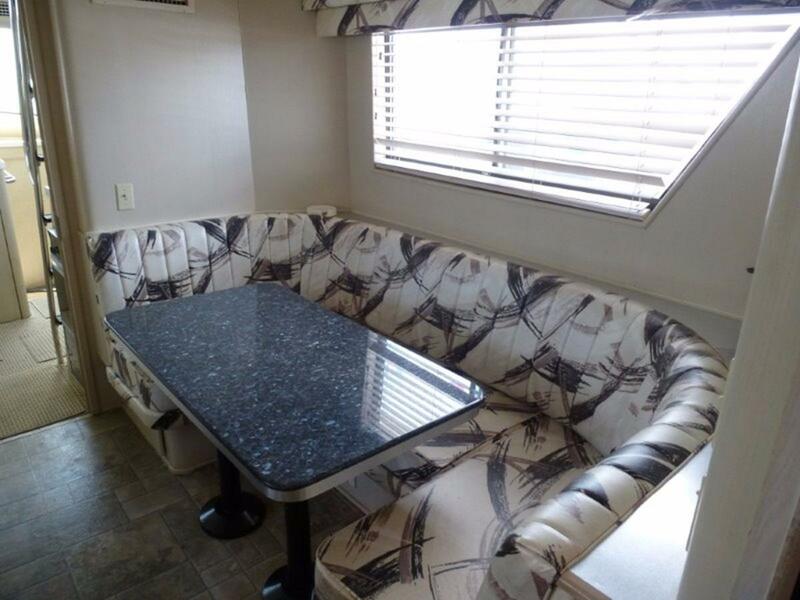 Please check the FULL SPECS for more detail and give us a call to discuss in more detail! 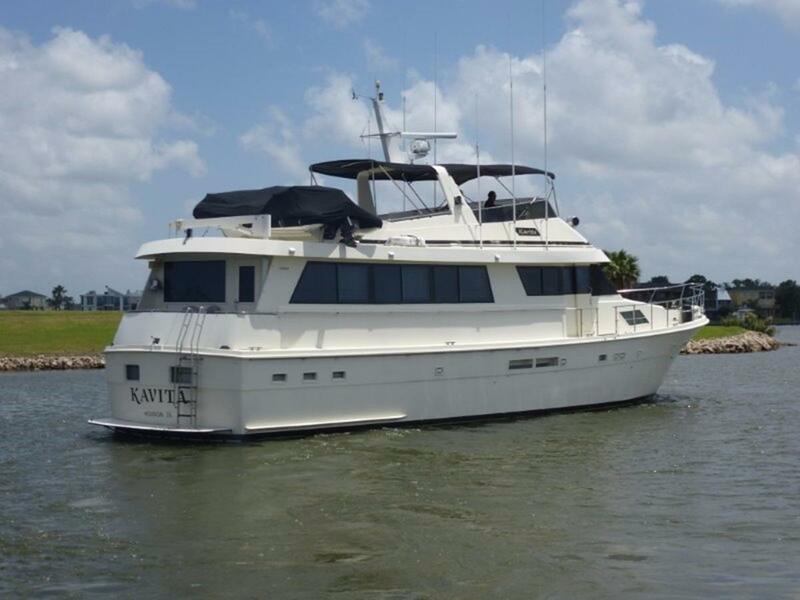 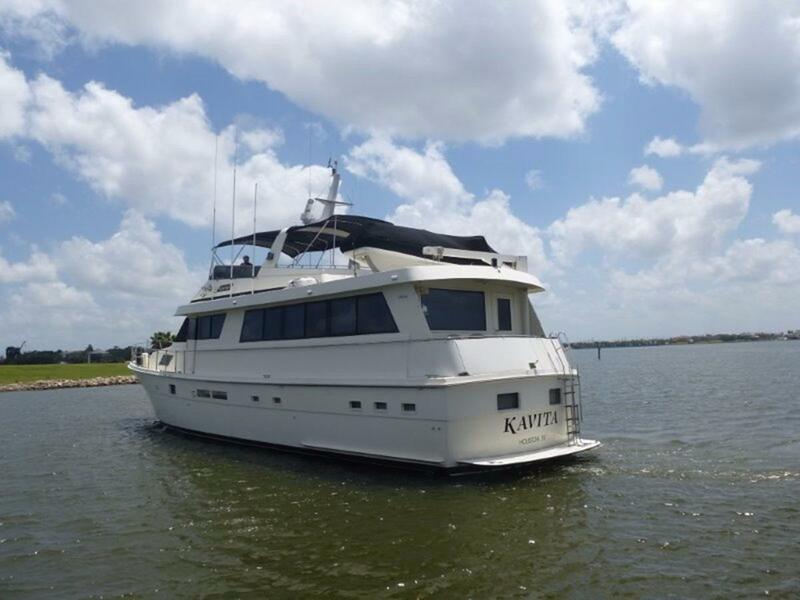 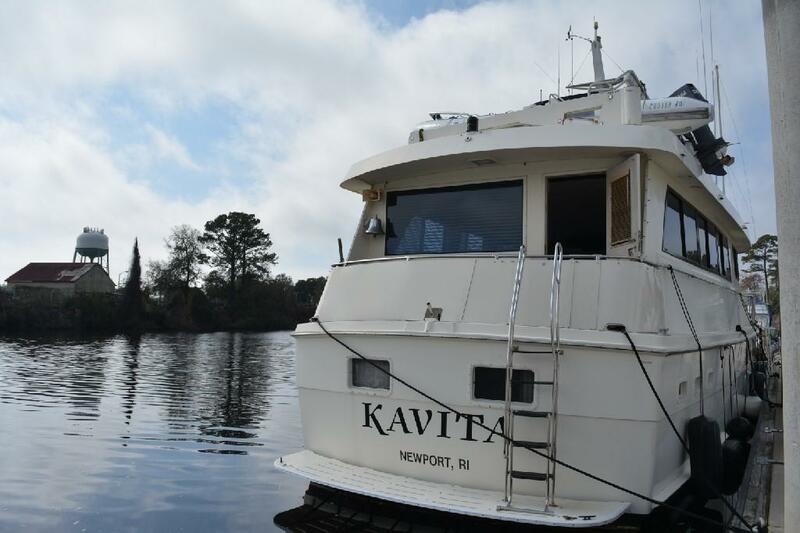 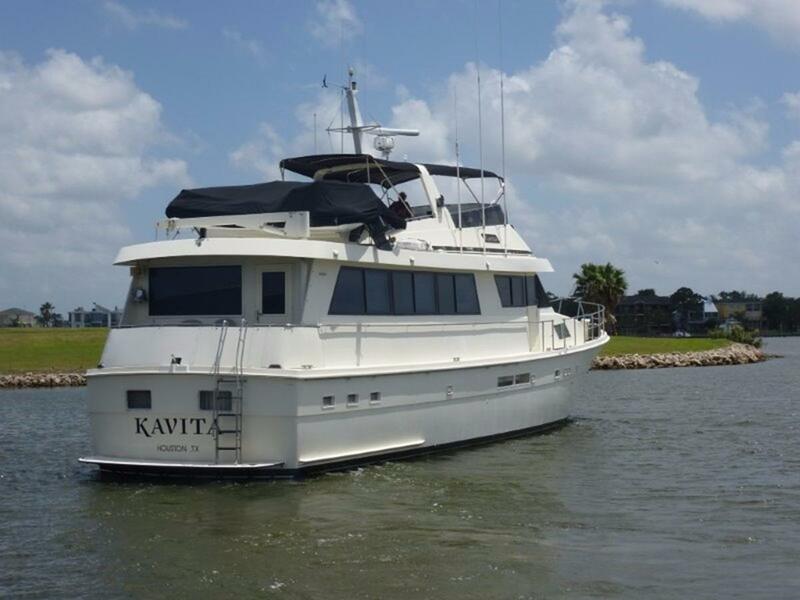 The 70 Hatteras "Kavita" is a Pilothouse-Style Motor Yacht that features a Four-Stateroom Four-Head Layout with an Extended Full Beam Salon, and a large Aft Master Stateroom/Study with Privacy Access. 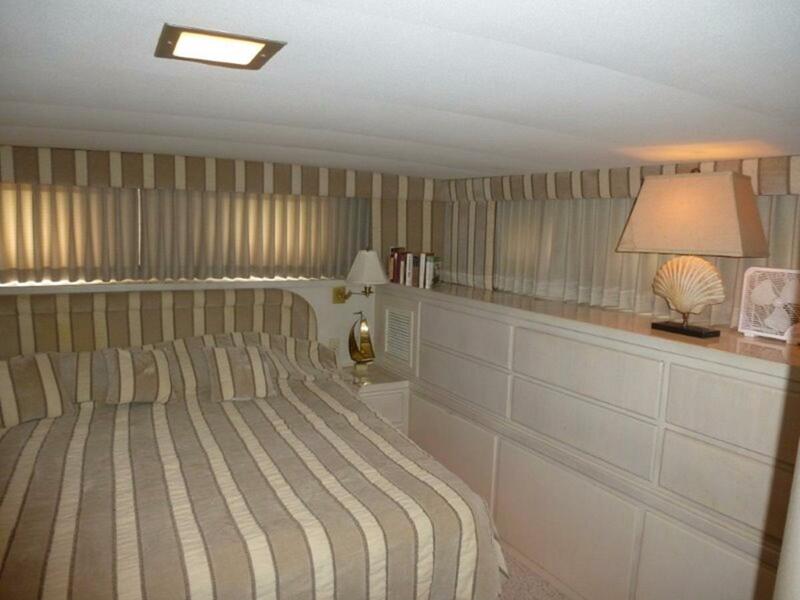 The Master Stateroom / Study is accessed through a private stairway from the main salon. 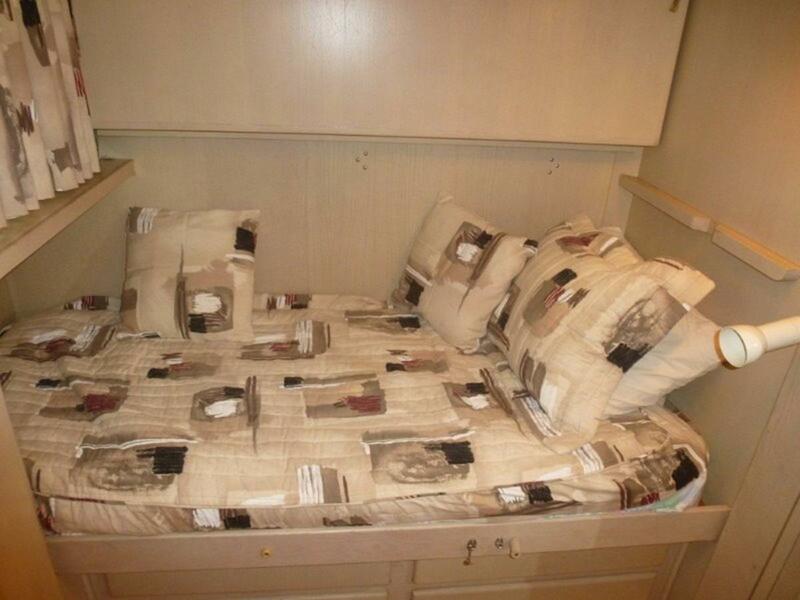 It features a free standing King Bed with flanking night stands. 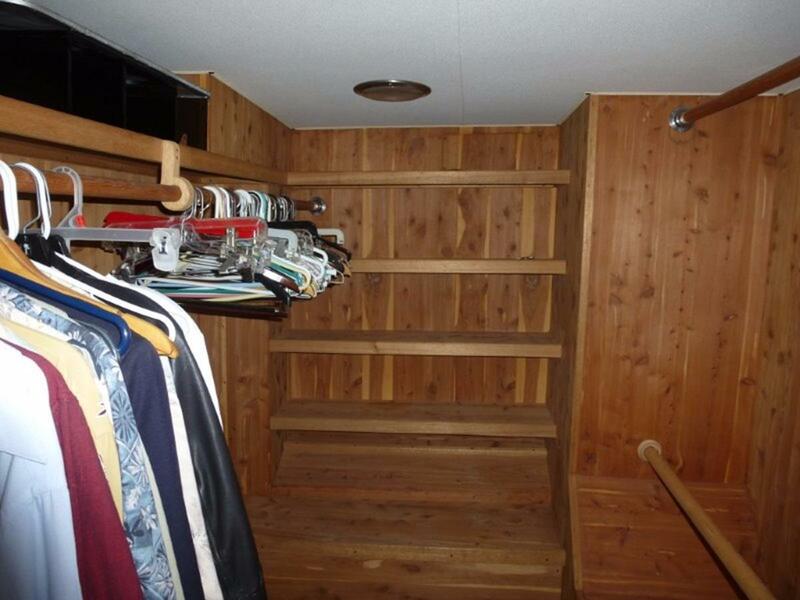 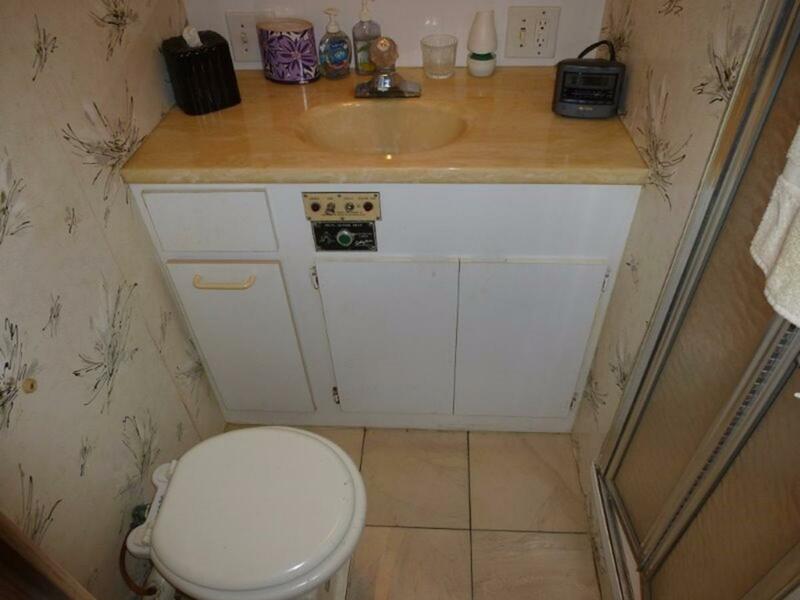 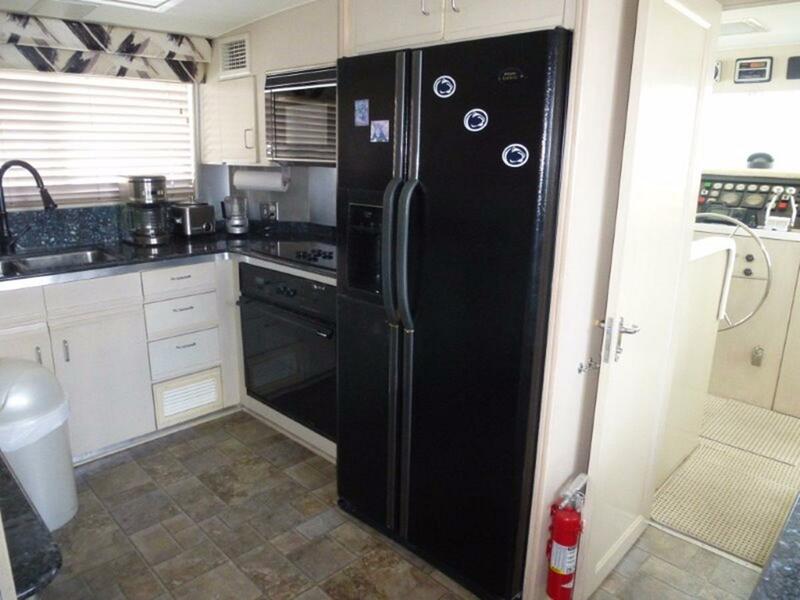 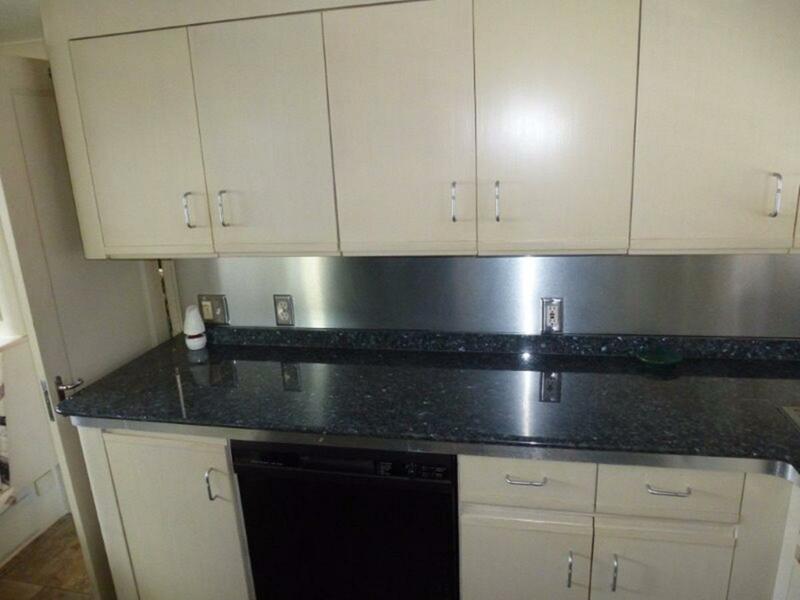 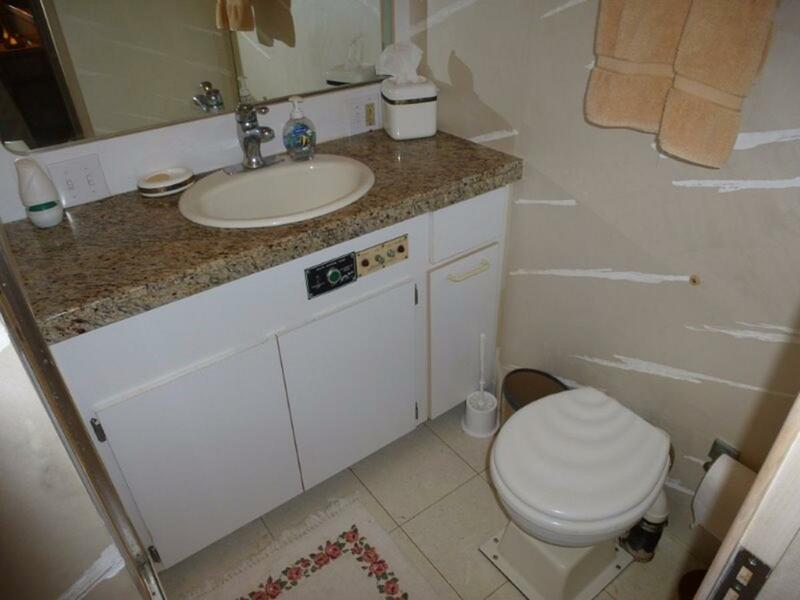 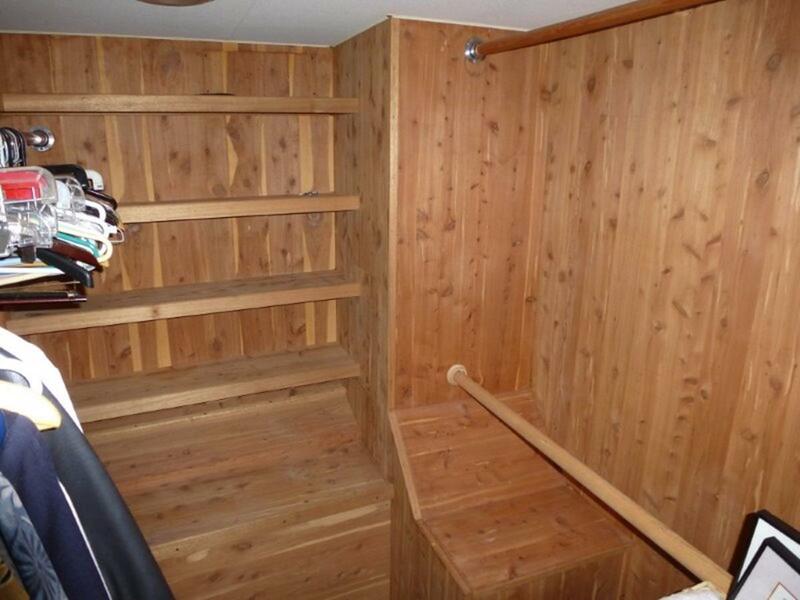 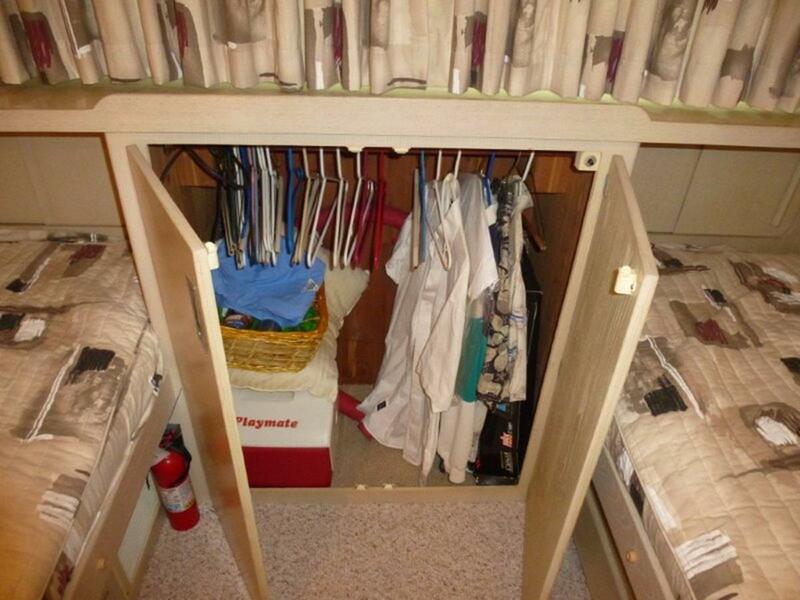 There is also an abundance of drawer storage to both port nd starboard and a large cedar-lined walk in locker. 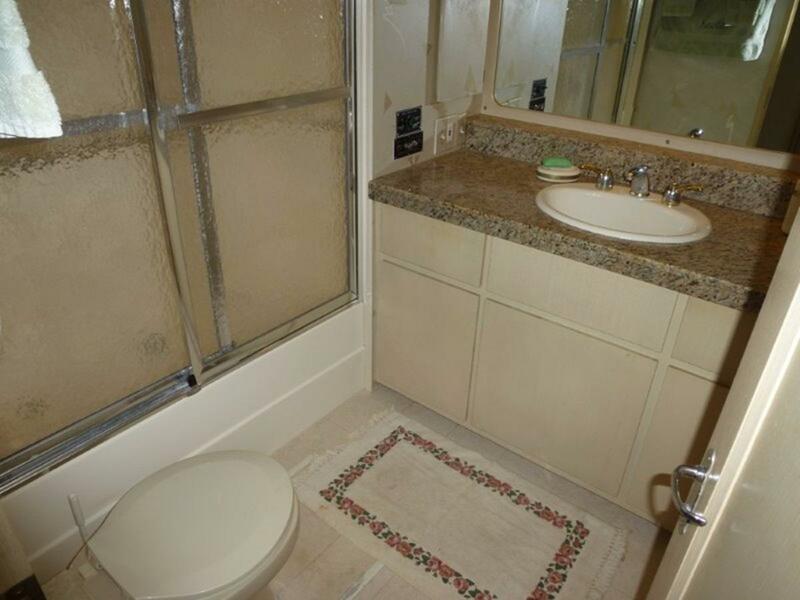 The bath is quite large and has a tub/shower combination. 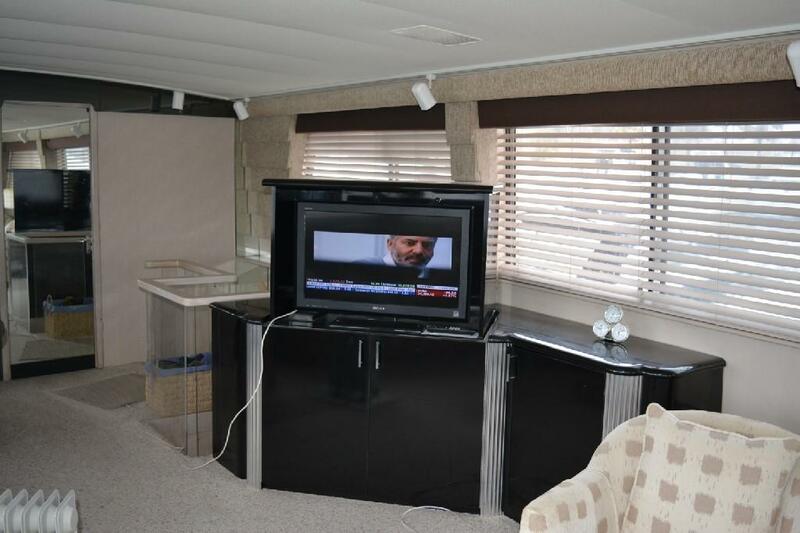 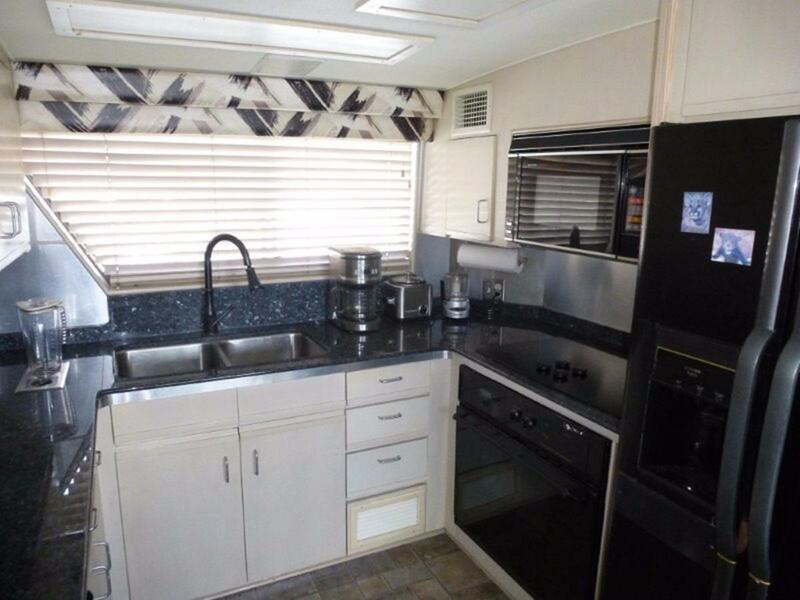 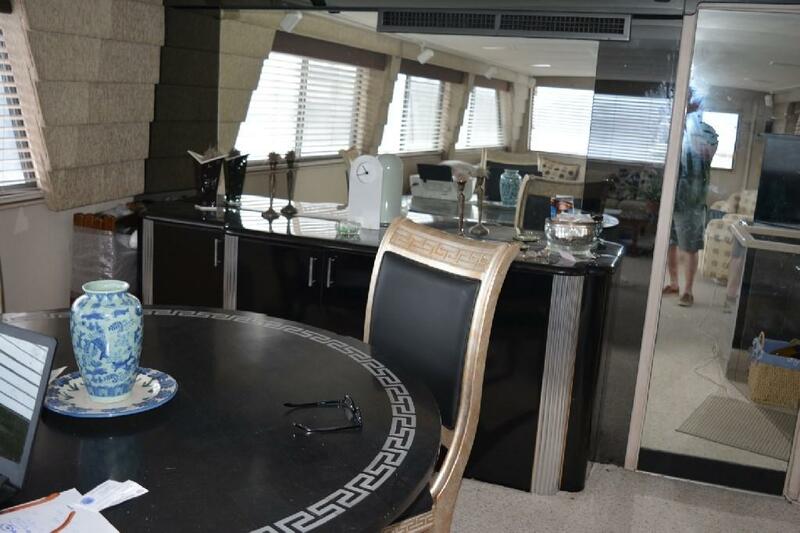 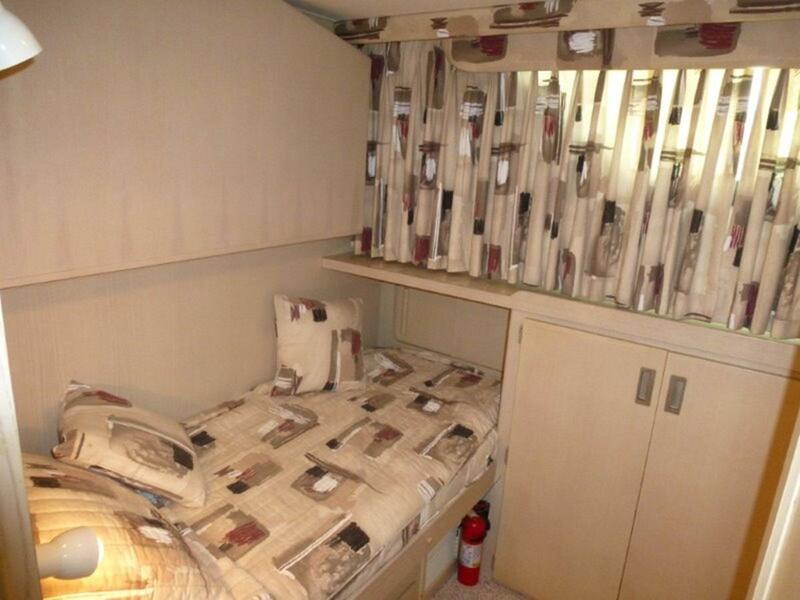 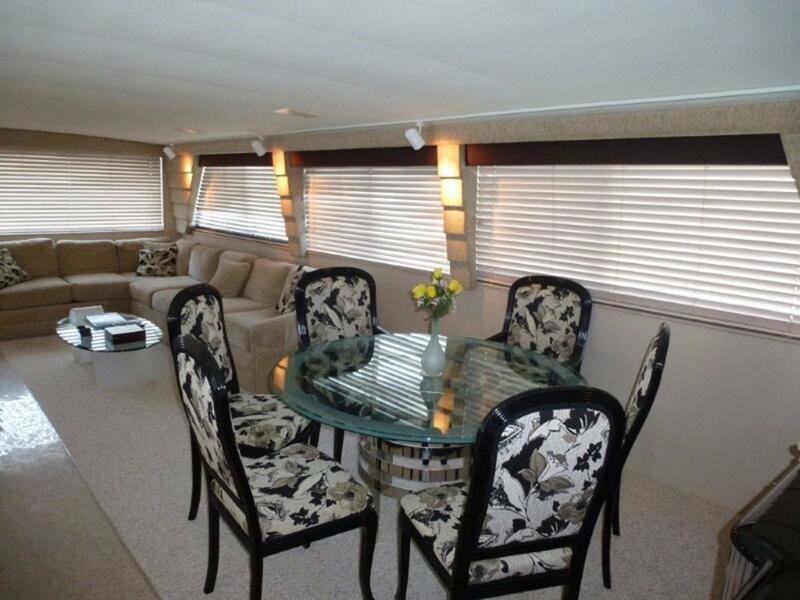 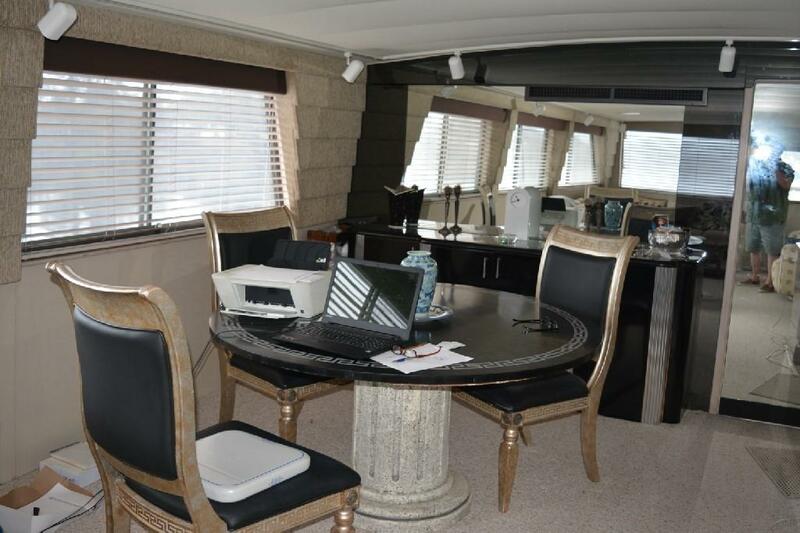 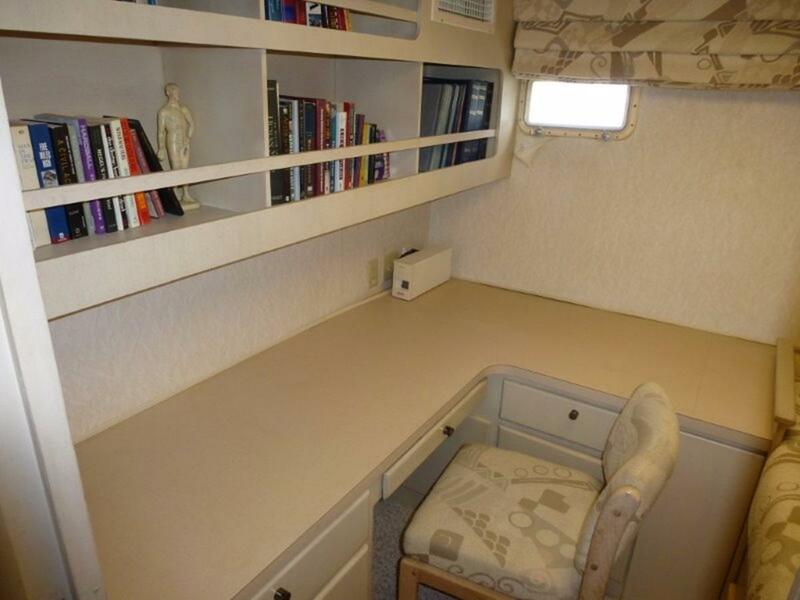 Just forward of the master is a study that has a desk and single berth. 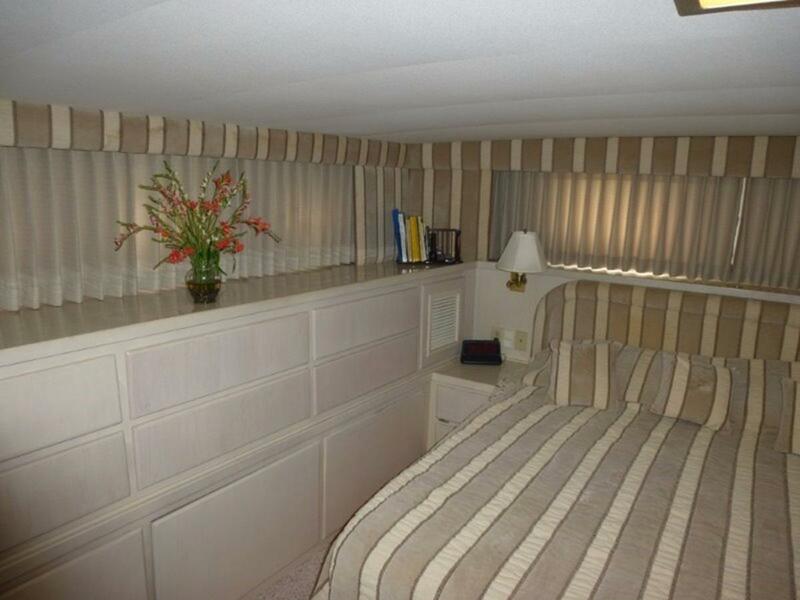 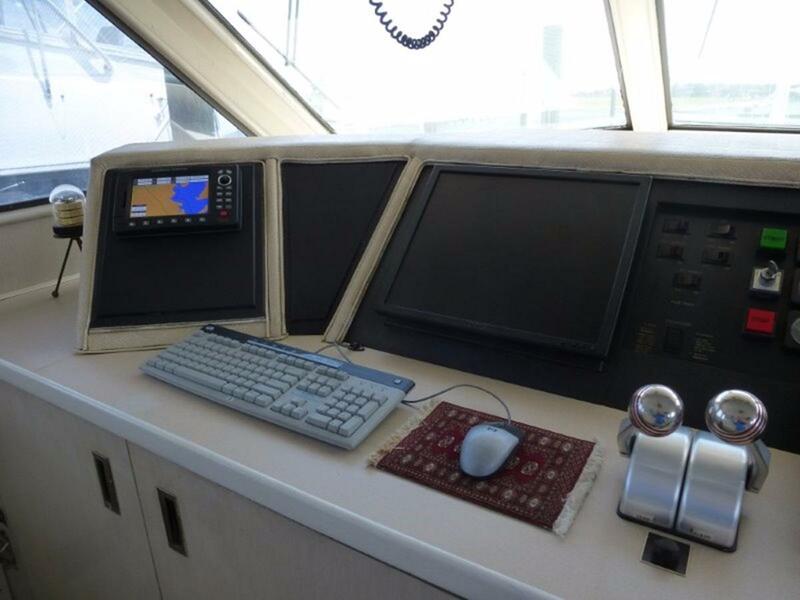 The VIP Stateroom is accessed via a stairway leading from the Pilothouse, just forward of the engine room and is just aft of the Forward and Guest Stateroom. 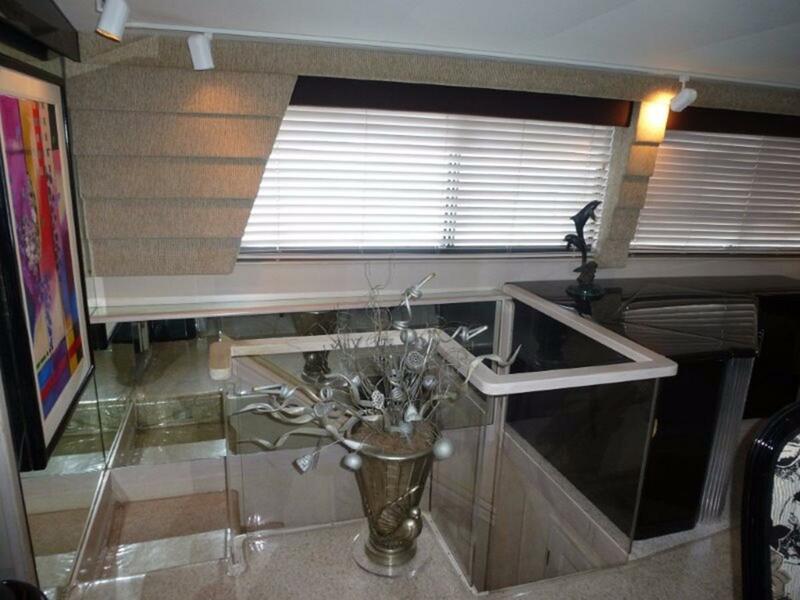 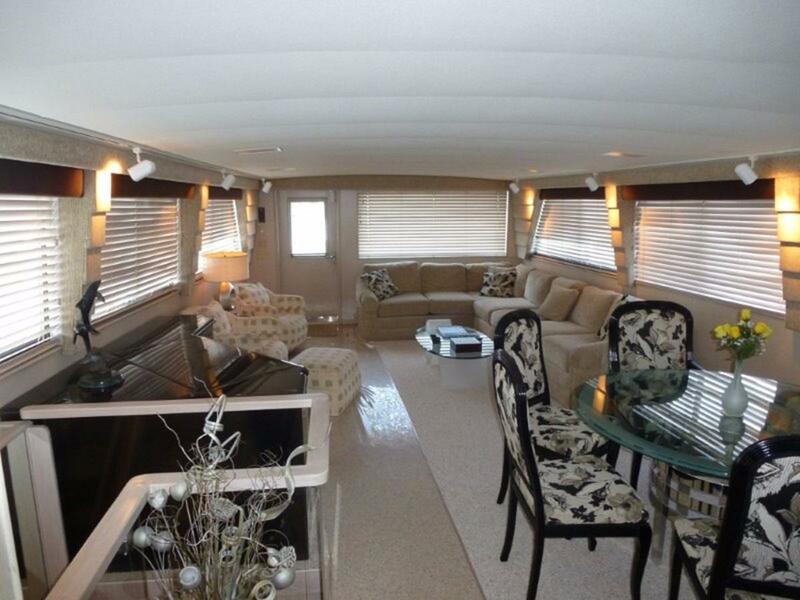 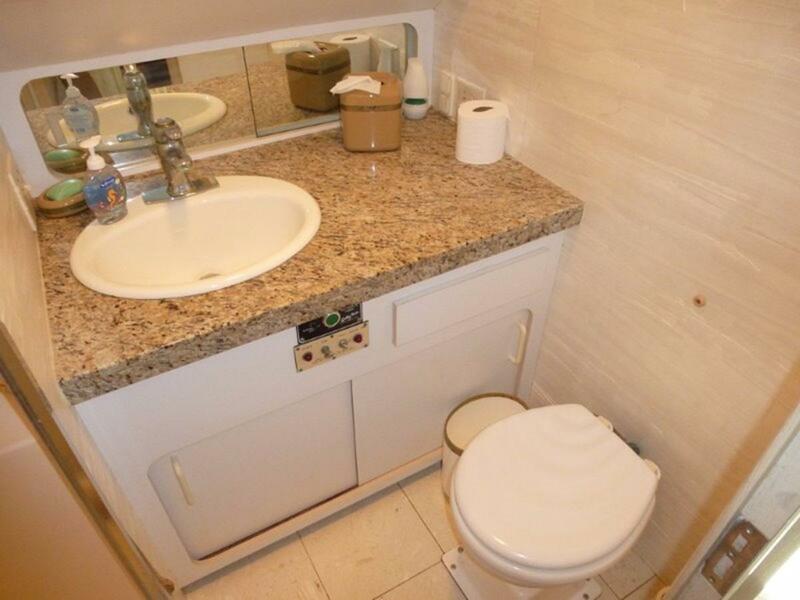 It features a walk-around Queen Berth and has a large Head. 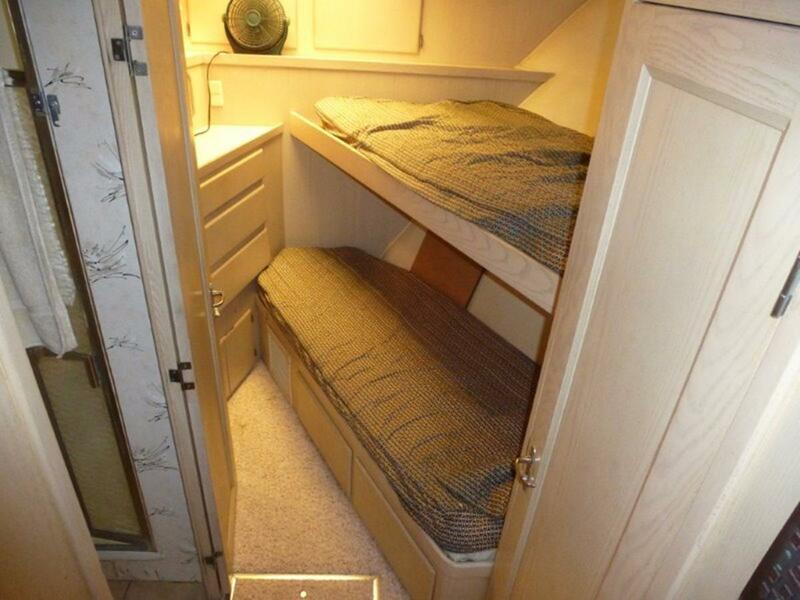 The Guest Stateroom is located forward and to port and affords sleeping for up to four in Twin Berths plus a fold-down Upper Berth. 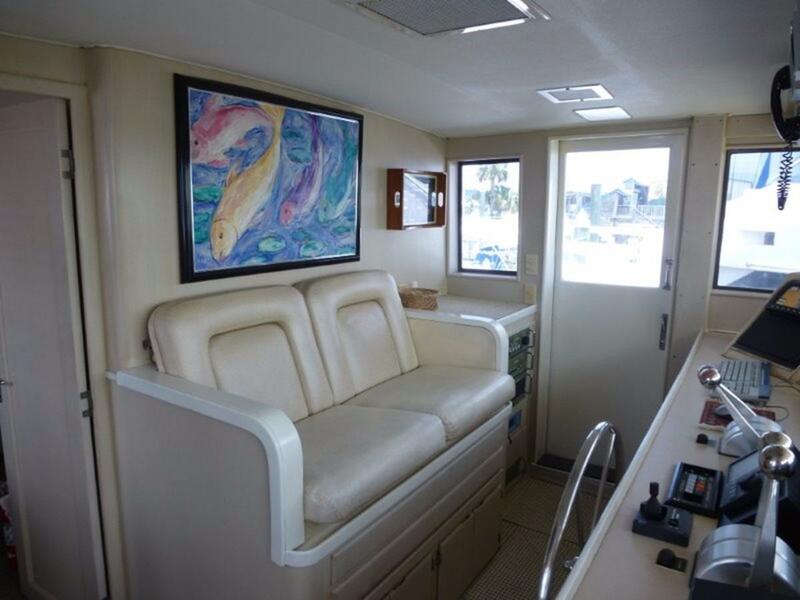 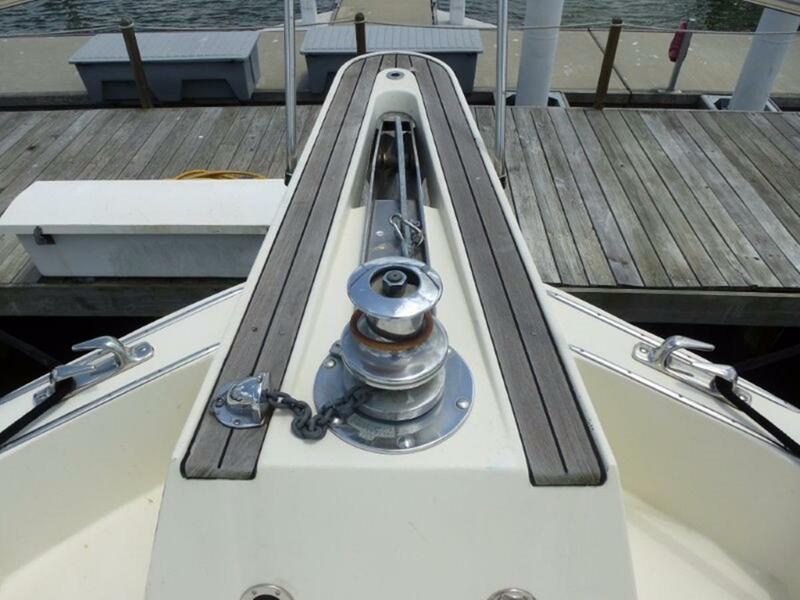 Directly across the companionway to starboard is a full Head with Stall Shower. 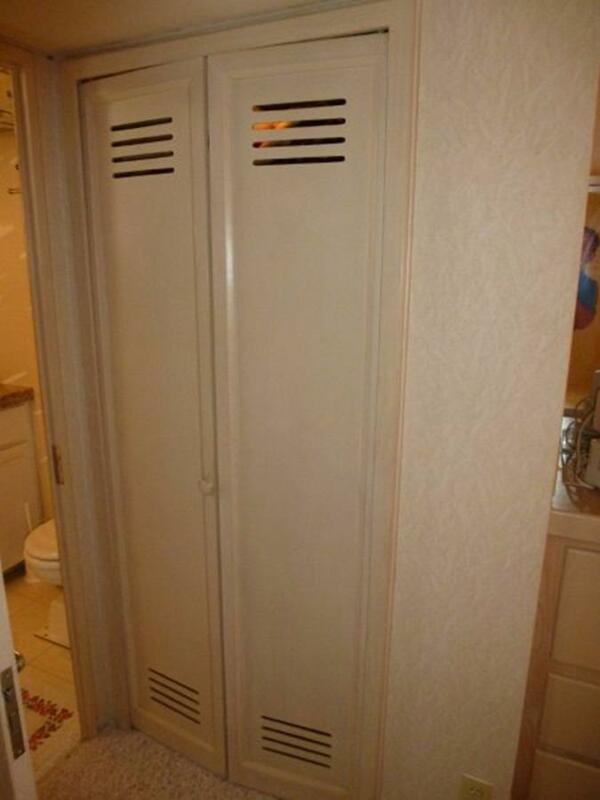 This Head also serves as the Day Head. 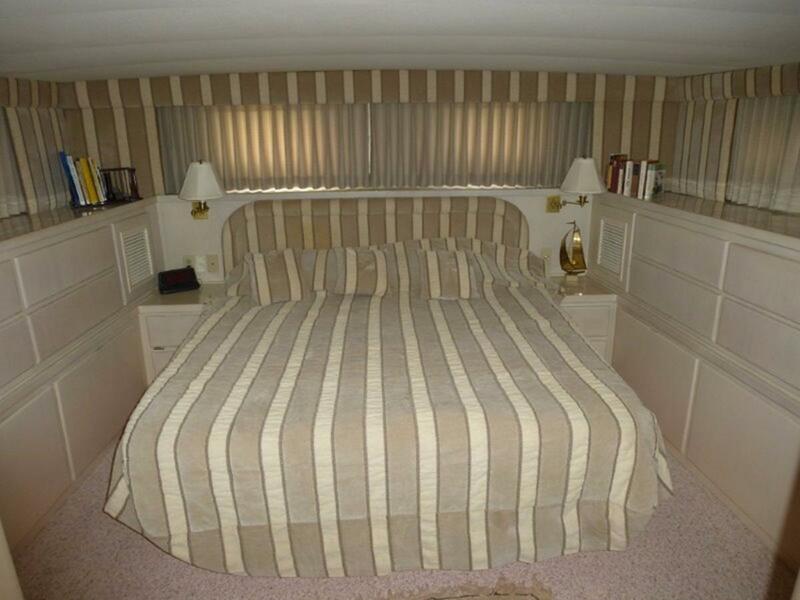 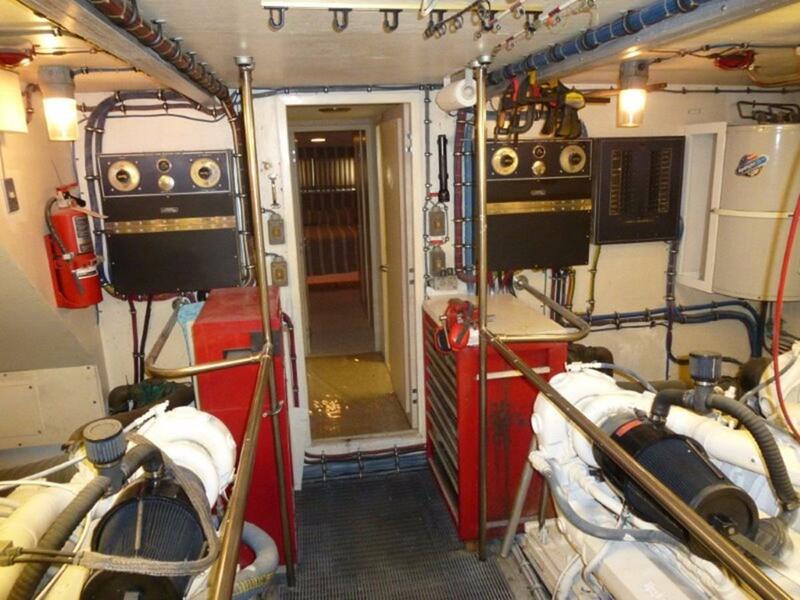 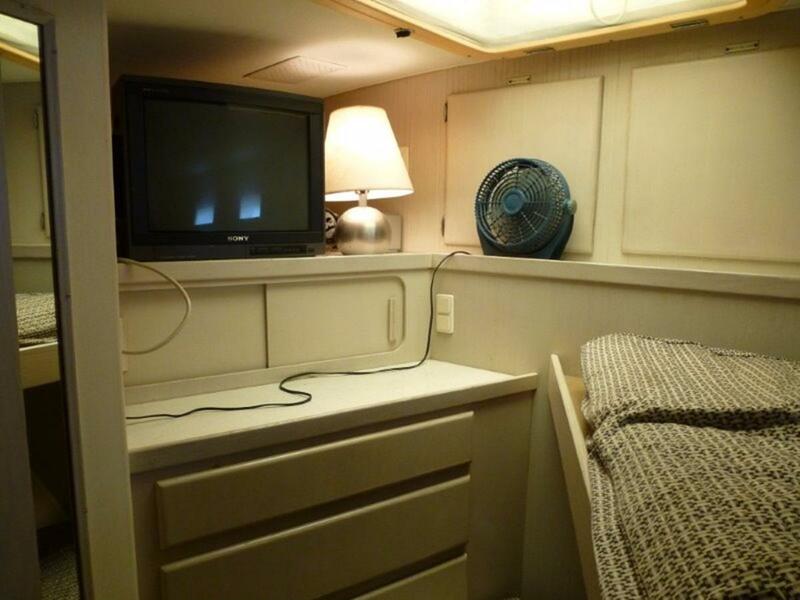 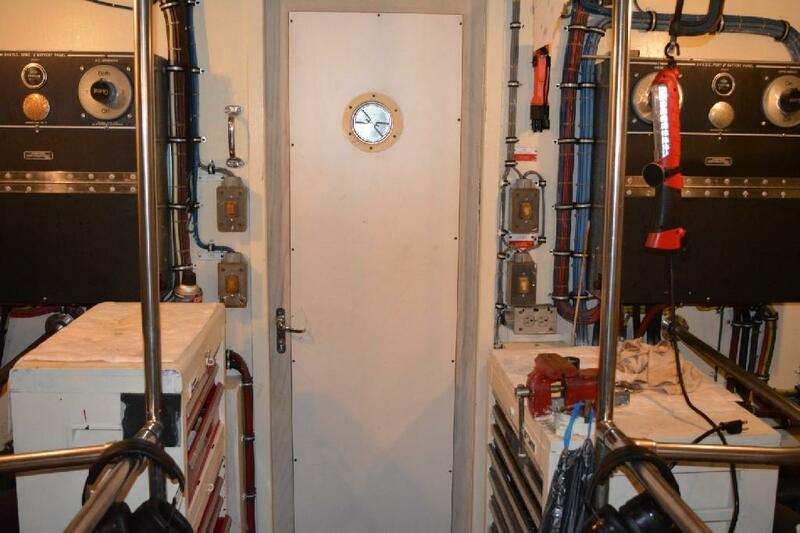 The Forward Stateroom is of course located forward and features two stacked berths to starboard and good cabinet and hanging locker storage, with Head compartment and Stall Shower to port.